Our team combines local knowledge, financial and social insights to activate the potencial of the urban environments we design - from single projects to master plans. 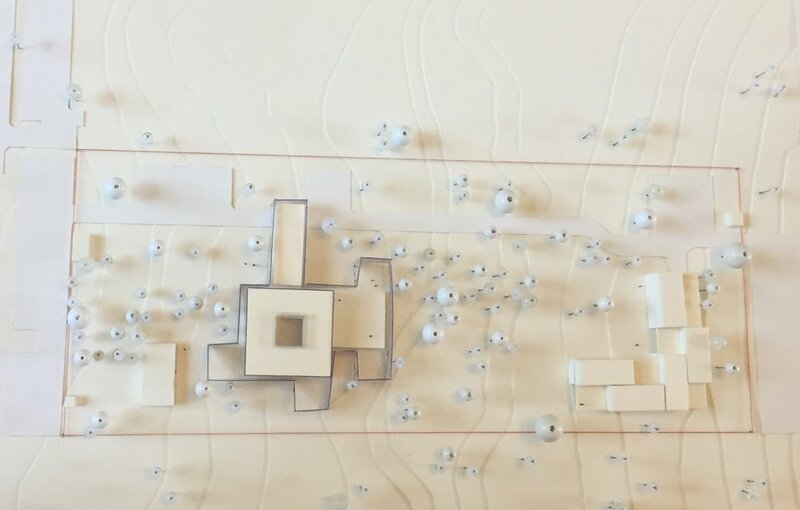 The Master Plan for the Kuwaiti diplomatic complex generates and environment where architecture and landscape work closely together to make the site a welcoming and comfortable green area for residents and visitors. Expansion and renovation action were necessary at the US CMR. Our consultant team provided full design, planning and budgetary assistance to develop a master plan that could be executed in several construction phases. The Maharashtra Nature Park and its bridge represent a model in how a biodiverse area can be enhanced while it’s also preserved. The design scheme is iconic, but also sustainable. It is a landmark, but a soft one - a site that invites both the guests and the people of Mumbai to meet in a recovered landscape. Brasília is a unique city and Lake Paranoá has become a unique structure of nature. These two actors, strongly linked to each other, form a special territory, of high symbolic weight. The Angola Embassy Master Plan maximizes opportunities for sustainable occupation. It improves the visitor experience, and reinforces the Embassy’s commitment to conservation of the local Cerrado vegetation by carefully implementing the buildings and totally eliminating trees’ suppressions.